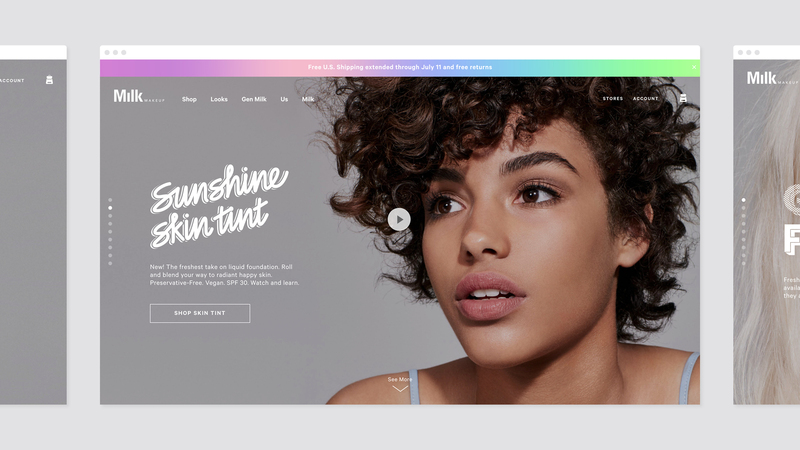 ADC Member shares new work, including her new website and layouts for a burgeoning beauty brand. 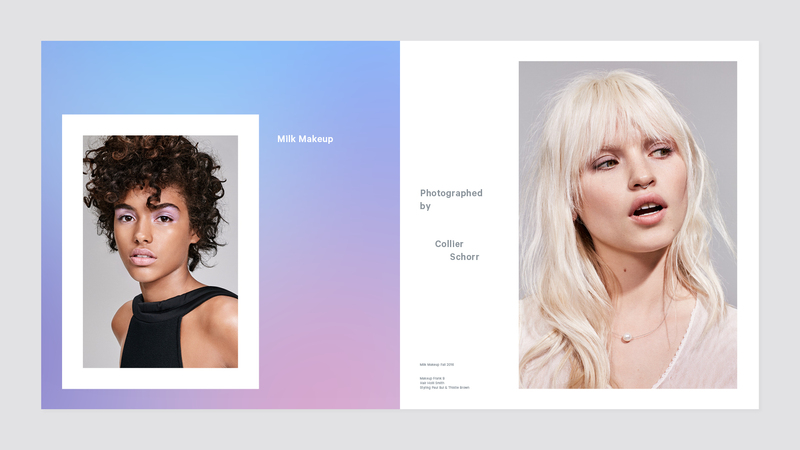 Elena Miska is a New York based art director who’s just hit refresh on her website to include new work, like this layout for Milk Makeup. Her role as art director for the project was no easy ask. The beauty market is super saturated with the same non-relatable ideals. 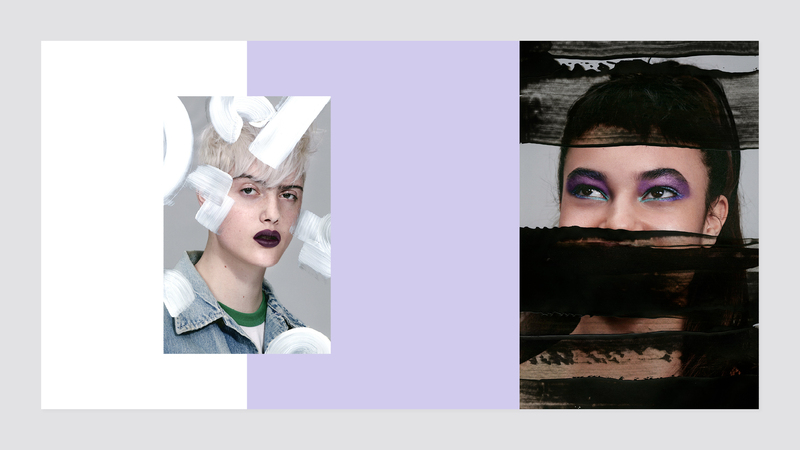 At Milk Makeup, it’s not so much about the makeup you’re wearing, but rather what you’re doing in it that matters. 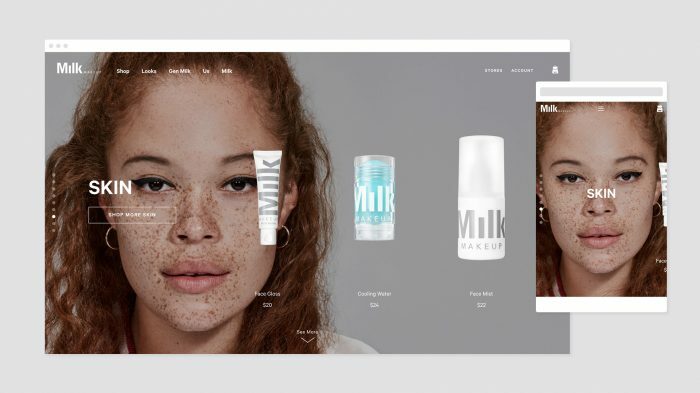 By creating a brand that speaks to something much larger than beauty, Milk Makeup has found a way of communicating to people of all ages, genders and races; people who need on-the-go, high quality, ingredient-conscious products. “I wanted to be able to use this as a platform for giving people confidence in a way that the industry as a whole is not doing. Makeup is an accessory; a creative tool – not something one needs in order to “be beautiful”. (What is beauty anyway?) For this reason, the casting, concepting, design elements and of course the products themselves all work together to create the brand’s unique voice and point of view.” For Milk Makeup, Elena brings her discerning eye, developing interesting typographic treatments and collaging and painting over images of the talent to create artistic abstract creations all tying back to the idea of encouraging self-expression and creativity. I’m a graphic designer and art director living in Brooklyn, but am originally from the Bay Area in California. My whole life revolved around art and dance, and I actually went to school for a year at SUNY Purchase here in NY, but had to move back to California after a dance-related injury. (It was actually a blessing in disguise – I will always love dance, but ended up finding my calling in design.) I got my degree in Graphic Design from Academy of Art University, and worked for a few years in San Francisco doing design and art direction before moving back to New York a year and a half ago with my husband, Tom. We’re both in the same profession, and agreed that NY was the place to be (we were right!). How long have you been an ADC Member and why is it important to you? As soon as we moved to New York, I joined ADC. I was eager to do it, because I liked the idea of being able to attend events and be in the thick of it, and really take advantage of what it has to offer. (One of my favorites was the Paper Expo.) 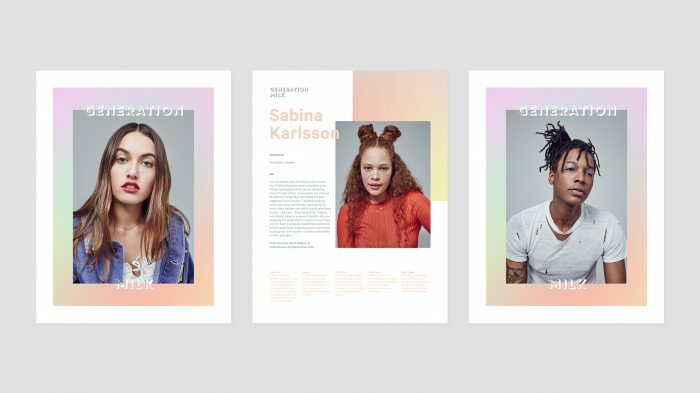 I think it’s important to have reliable and expansive platforms like ADC where creatives can be celebrated for their work, and also have programs and events available to them on a regular basis. 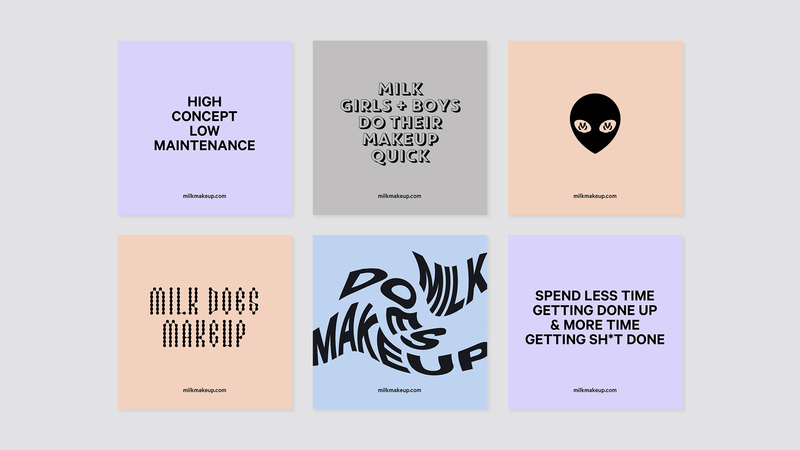 Tell us about the project for Milk Makeup. 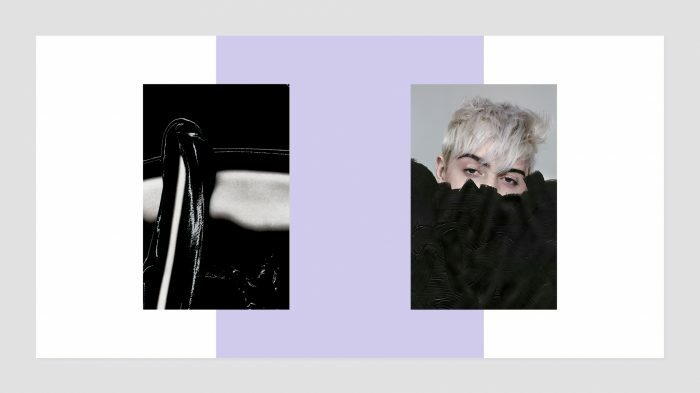 What sort of mood/thoughts/feelings did you want to convey with the look and feel in the art direction for Milk? 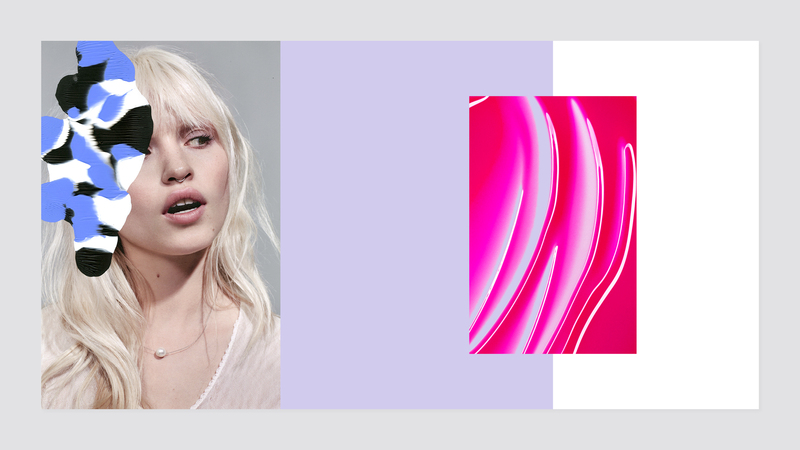 I’ve been working with Milk Makeup since April of 2016 as the Art Director, and it’s been a really rewarding experience to be able to work with such an open-minded and forward-thinking new brand. Although I wear some makeup, I really had no interest in the cosmetics industry, as it’s filled with so many brands with the same unrealistic ideals and standards. 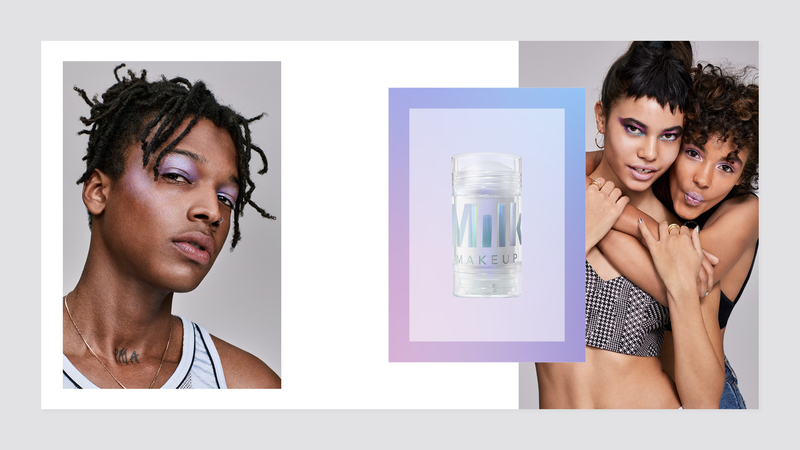 But my interest was piqued when I heard from Milk Makeup right after their launch, because they were actually doing something different, in providing really good quality products for the girl or guy on the go (no brushes necessary!). When I came on board, it was important to me to continue to strengthen the brand message, and to be genuinely inclusive, while still staying true to Milk’s fun, kind of punk aesthetic. The process starts with concepting – how we’ll show the new products in their best light. When dealing with a campaign or product launch, there are multiple shoots that go into the creating the final results. One is shooting the makeup on models, and this involves casting both the talent and also the photographer, makeup artist, hair stylist, etc, and then deciding on the mood, the set, the lighting, and everything that goes into creating an image. I really enjoy the casting process, and it’s incredibly important to me to represent people who aren’t usually represented in mainstream brands, let alone in the cosmetics industry. I don’t cast people who say they’re just models. I like to get to know each and every person who comes to a casting, and find out who they are, and what makes them interesting. Another shoot in the process is photographing the products themselves. We like to keep these shots very clean and technical, so that the imagery around them (like the ones with the people) can be more wild. And then there’s shooting what’s called “bulk” which is the term for the actual makeup formulation. Getting these shots is quite technical as well, since they have to portray both the consistency and color of the makeup perfectly, but we like to make these really fun and playful. A lot of the inspiration for shooting these came from Japanese art. 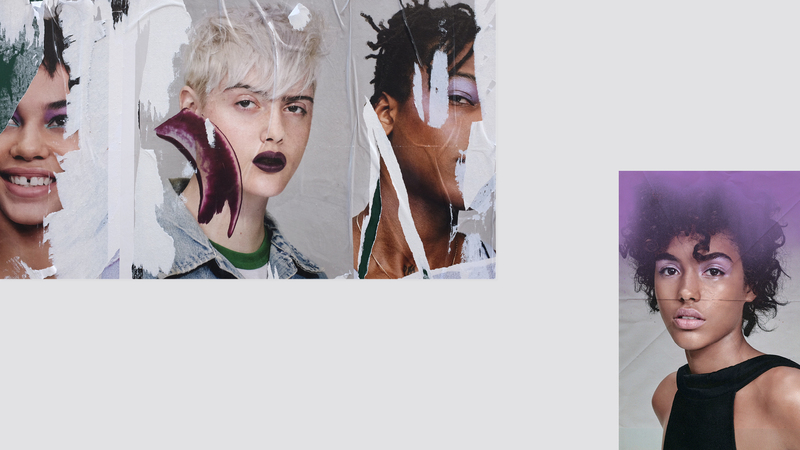 Post-production was actually a really fun part of the process, because I was able to take the images we created, and collage with them, which ties back to the DIY roots of the brand. 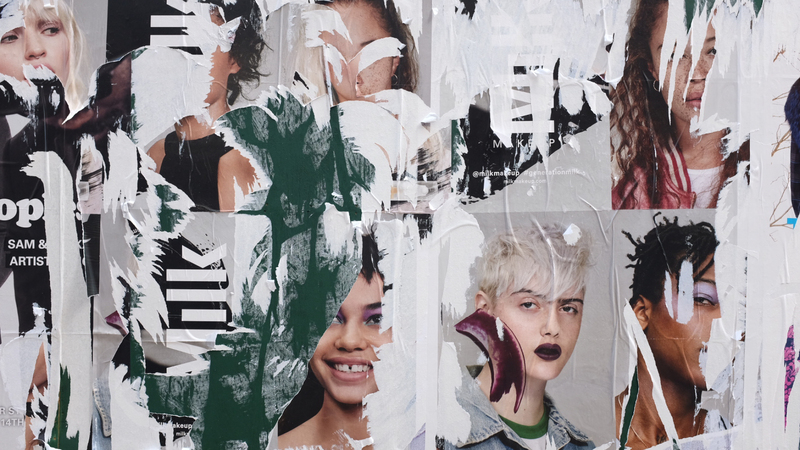 One of the most exhilarating experiences was getting to see the collages I made with the images we created posted all around NYC this September. It was a bit surreal, because I was able to do something that I love to do anyway, but for an incredible brand. Plus, seeing a tactile version of something you created from start to finish is always exciting. What was the best part and what was the most challenging? Do you use the product yourself? I use Milk Makeup every day, mixed with a few products that I’ve used since I was a teenager that I can’t let go of no matter how hard I try! 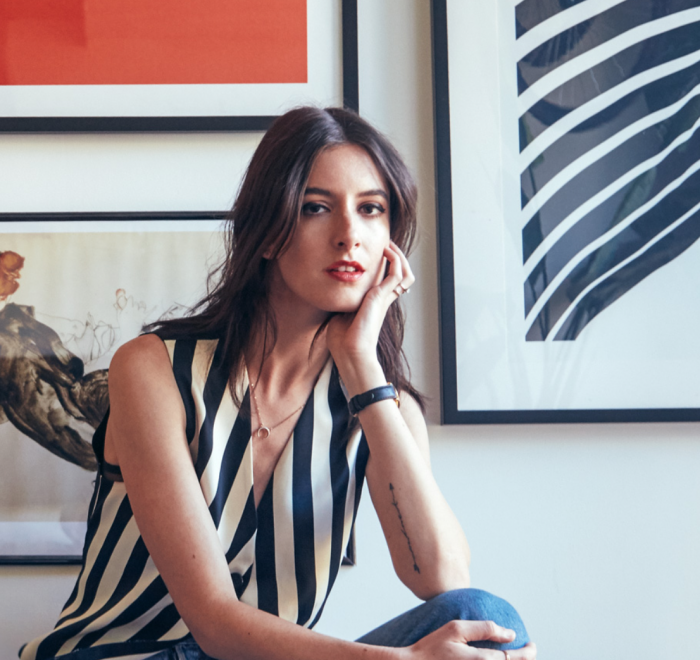 My go-to look is a fresh face with a liquid liner cat eye, and some lipstick or lip balm. If I had to choose three, Lip Color in O.G. Red, Sunshine Skin Tint, and Ubame Mascara are at the top of my list. In the past year, I’ve come to realize how important the ingredients are in products – just as important as the food that you eat – it all goes into your body, so it shouldn’t be full of chemicals. That’s my favourite thing about Milk Makeup – that the ingredients are so good, and that the whole line is cruelty-free. If you could tell us your style in 5 words or less, how would you describe it? Was there a photographer or other creatives you had to collaborate with to realize the final look? I try to do as much art on the side as possible, and also take on meaningful freelance work. I’m very concerned with the state of our world right now, both culturally, politically, and environmentally, and am hoping to find other brands or individuals to collaborate with who share similar views and interests. I want to try to use my design for good, now more than ever. ADC Members and ADC Young Guns winners get featured here on the ADC Blog and across our social media channels. 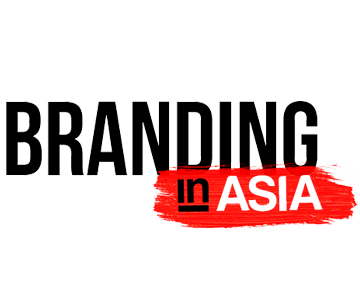 Drop us a line at membernews@adcglobal.org. Not yet an ADC Member? Join today!